You&apos;ve heard the mantra before, but it bears repeating. 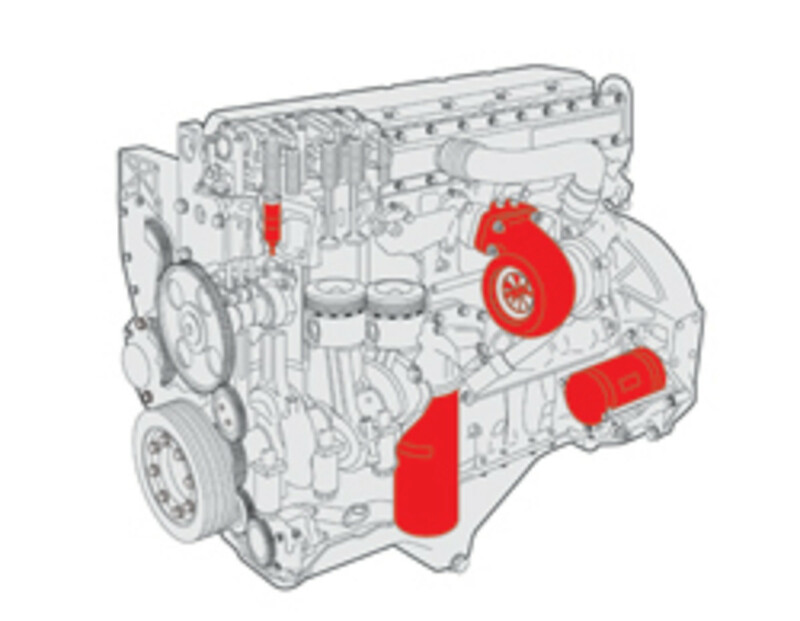 A diesel engine basically needs just two things: clean fuel and air. If it&apos;s missing either, it&apos;s dead. 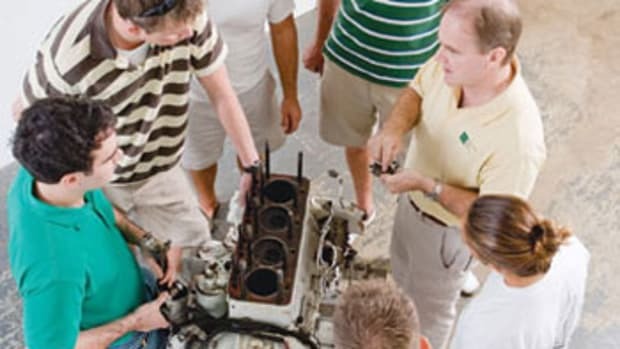 That&apos;s why troubleshooting a diesel usually involves tracing the air and fuel systems from start to finish, always beginning with the simplest and least-invasive potential cause and ending whenever your expertise reaches its limit (since any further attempts at a solution may cause more harm than good). 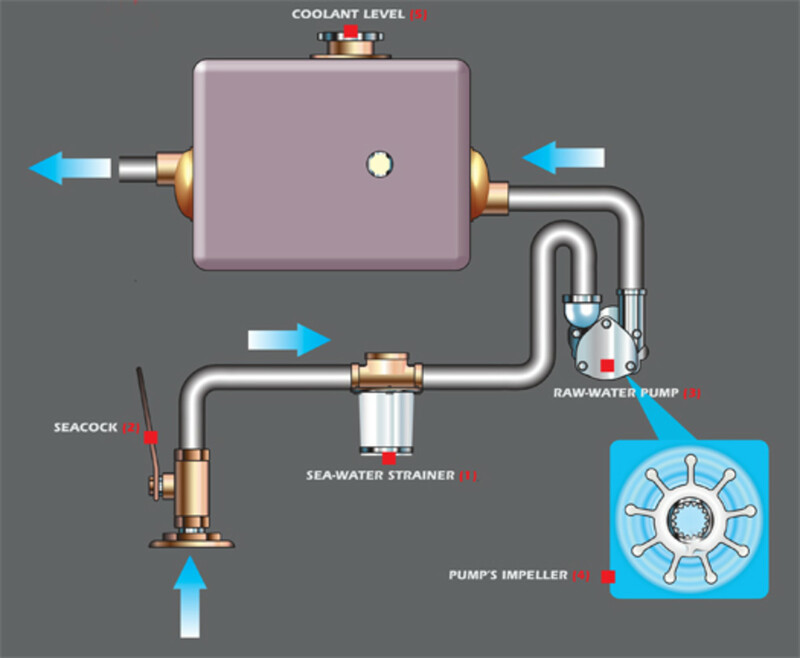 A general background knowledge of how your engine&apos;s main systems work can help you save the day whether you&apos;re dockside or at sea. Here&apos;s what to look for when the two most common problems rear their ugly heads. Begin with the key/start switch. 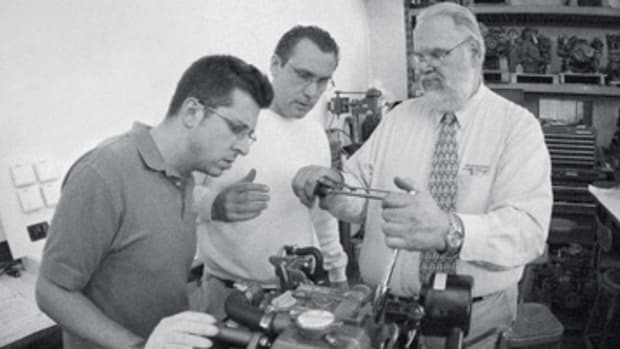 We&apos;ve all tried to start an engine with the ignition switch or breaker in the wrong spot. The only real shame is not figuring it out until 20 minutes later and getting ribbed by your buddies for the rest of the trip. If your engine still won&apos;t crank after you&apos;ve checked the ignition and power switches at the distribution panel, turn your attention to the starting system itself. First check the charge on your starting battery by looking at your voltmeter. (Remember, gauges aren&apos;t always 100-percent accurate.) If you don&apos;t have a voltmeter, you&apos;ll have to take a portable multimeter directly to each battery. If you have multiple batteries in series or parallel, remove the battery cables connecting them. Otherwise you&apos;ll get a reading for the battery bank, not the individual battery. If your starting battery is low, you have a number of options: 1. Flip the battery-parallel switch to bring the house batteries online. 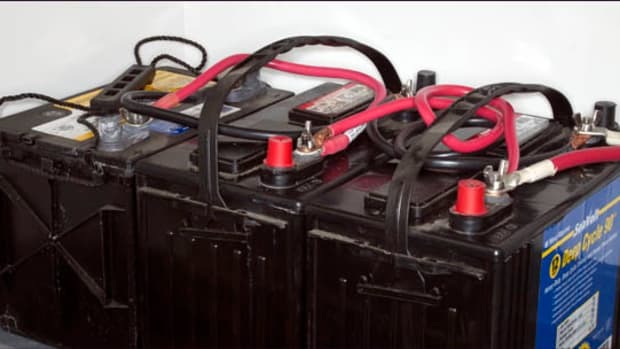 (If your starting battery has a short in it, it may draw so much juice from the house batteries, they can&apos;t sufficiently crank the engine.) 2. If you don&apos;t have a battery-parallel switch, you can jump the starting battery from another battery using automotive jumper cables. 3. You can fire up the genset, if so equipped, and charge the dead battery through the onboard battery charger. However, if the problem is a shorted battery, it probably won&apos;t take a charge. In fact, if you suspect your starting battery has a short, remove its cables so it doesn&apos;t adversely affect the other batteries. 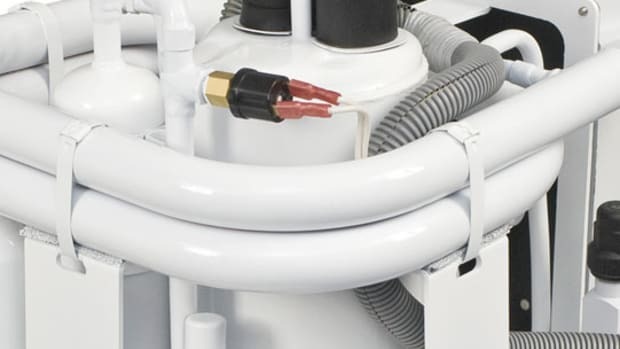 Once you determine that your starter battery has juice and the engine isn&apos;t cranking, look for the next-simplest cause: loose electrical connections. Check both the battery and starter terminals, which sometimes loosen due to engine vibration. 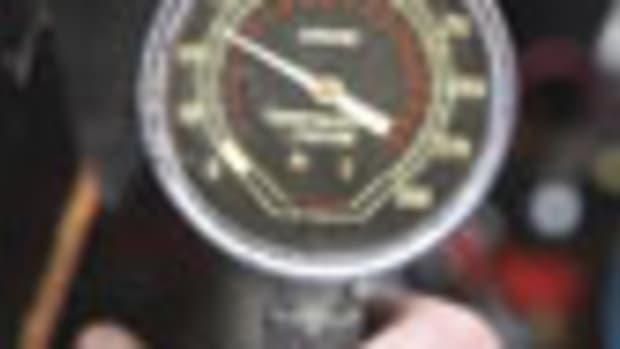 Assuming both are tight and you have a strong current to the starter (you can check it with your multimeter), your problem may be in your starter motor, probably either a bad solenoid or a bad starter motor. Sorry, but it&apos;s time to call you-know-who. Oil filters are cheap insurance against wear, so always replace them whenever you change your lube oil. Fill the filter canister first to prevent dry starts, but make sure not to overfill the engine. If your engine turns over but won&apos;t start, begin your troubleshooting with any emergency shut-down switches, especially the T-handles on two-cycle Detroit Diesels. 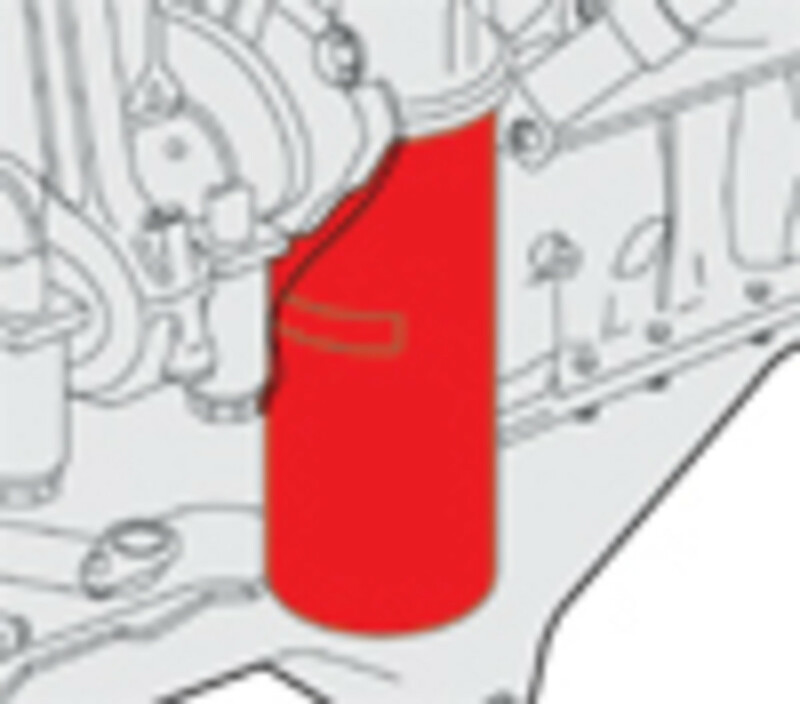 Note that on Detroits, these handles close a flapper in the intake system, so even if you shove them back in, you&apos;ll still have to manually reopen the flappers. Next check the fuel level, both at the gauge and, if possible, at the sightglass or with a dipstick. Assuming it&apos;s okay, move on to the clear glass bowls in your fuel-water separators. If they&apos;re empty, so&apos;s the engine, and your problem is upstream. Did you recently take on fuel or transfer it between tanks? If so, better check those fuel-manifold valves. 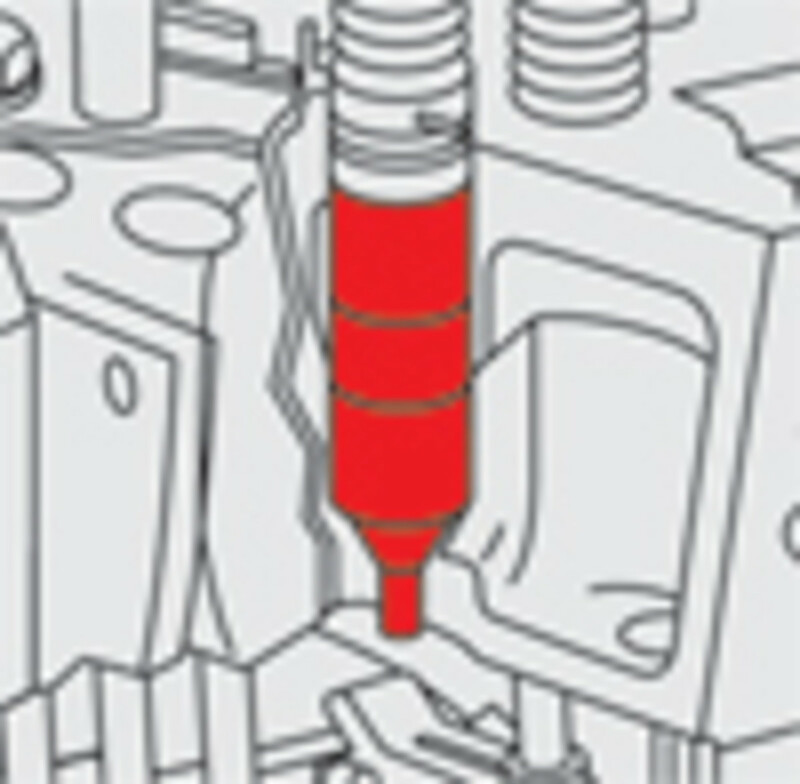 A broken or dirty injector can cause misfiring and even failure to start. Assuming you have fuel to the separators and the engine still won&apos;t go, there&apos;s a good chance the issue is dirty fuel, which is the cause of about 90 percent of all diesel-engine problems. Begin by looking again at those bowls in your fuel-water separators. The fuel in them should be clear red or possibly amber. If it&apos;s dark, it&apos;s probably contaminated with algae or other particulates. If it&apos;s stratified—dark on top of light—water is the probable culprit. Either way drain the bowls until the fuel is clear, and replace the separator&apos;s filter element. You&apos;ll have to refill the separators right to the top with clear fuel to prevent the engines from becoming air-bound. (For more in-depth information on diesel fuel systems, see "A Fuel For You.") If you have clean fuel, the only other likely culprit is air from a leak in the fuel system. Bleeding air from a diesel is a tiresome, messy, time-consuming business that can vary from engine to engine. Check your manual to see how to do it. Assuming you have clean fuel and it&apos;s getting to the engine, it&apos;s probably time to look at the air supply. 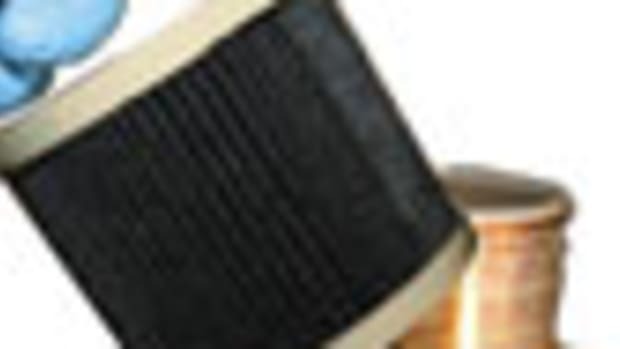 Your engine could conceivably be starved for air thanks to a dirty filter or other intake blockage. But if it is, you should have been tipped off by lots of black exhaust, which is a sign of too much fuel and/or too little air. 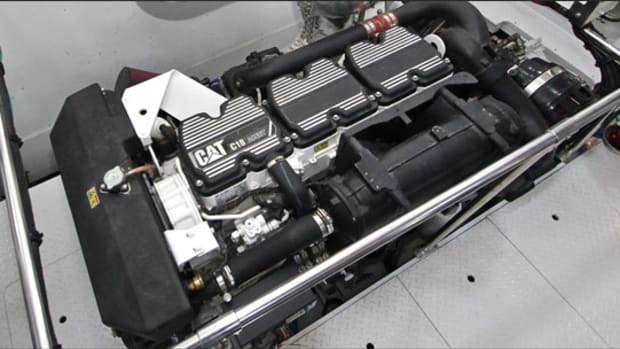 Air and fuel are necessary for your engine to make power; oil, sea water, and coolant keep it from overheating. If your engine-temperature alarm goes off, the first step is always to back off the throttle. Better yet, if you&apos;re going to be working anywhere near the engine, shut it down. But before you do, look at the exhaust. Is there a steady stream of water coming out? If not, you can pretty much bet that either the sea strainer is clogged or the raw-water pump is fried. Check the simplest thing first: the strainer. (While you&apos;re at it, make sure the seacock is all the way open.) If the strainer is empty of water, something is probably blocking the through-hull outside the boat. Time to put on the mask and fins. If it&apos;s full of clean water, the problem is probably the raw-water pump. 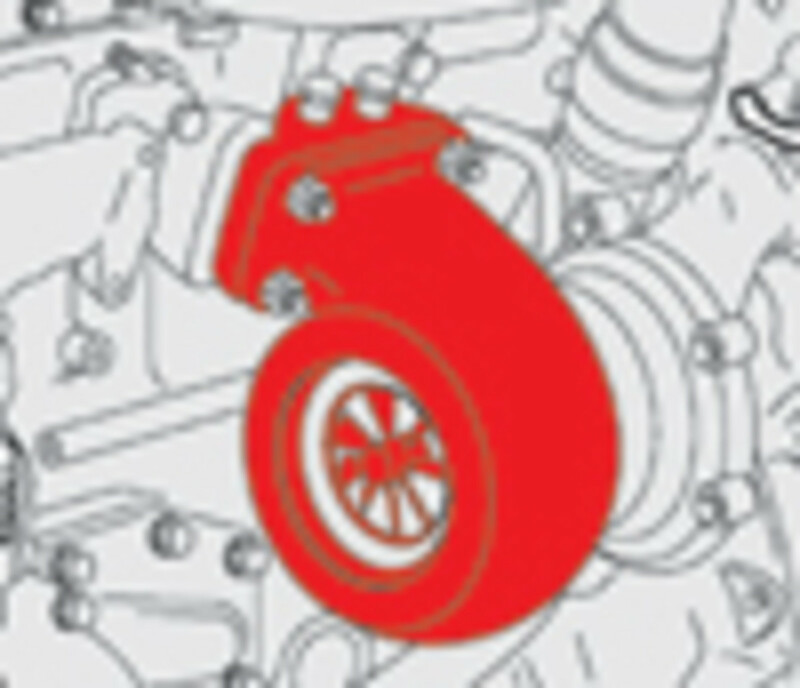 Although that usually means a fried impeller, it could also signal a parted or loose drive belt. Check the simplest cause (the belt) first. If your engine overheats, make sure water is coming out of the exhaust. If it&apos;s not, check the sea-water strainer (1), looking for debris. If there&apos;s no water in it, make sure the seacock (2) is open. If it is, the problem is on the outside of the hull. If you have water in the strainer, check the belt that drives the raw-water pump (3). 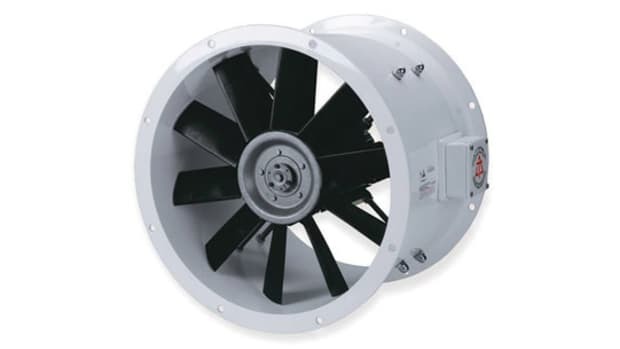 If the belt is tight, the pump&apos;s impeller (4) may be damaged; you&apos;ll have to disassemble the pump. But before you do, check your coolant level (5). Engines need air for combustion, and an obstruction in the turbocharger intake could cause hard starting or poor performance. Look out for black exhaust. If the raw-water flow is fine, at this point the problem could be not a lack of sea water but a lack of coolant. To test this theory, you should probably first break out a six-pack, because unless you&apos;re willing to risk being scalded, you&apos;re not going to want to remove the coolant cap until the engine is cool to the touch, and that could take a while. If low coolant is the problem and you don&apos;t have any onboard, you can top it off with fresh water to get you home and then drain and replenish the system with coolant. But don&apos;t forget: That coolant had to go somewhere, and you&apos;d better find out where it went if you don&apos;t want to go through all this again. Work your way along all the hoses searching for a kink or puncture that&apos;s preventing flow. If there is a puncture, there should be water in the bilge. Overloading is another possible cause of overheating. As a Mainer, I always have a lurking suspicion of lobster-trap warps wrapped around the prop shaft, creating excess friction. If this occurs, a drop in rpm should coincide with your high thermostat reading. Once again you&apos;ll have to break out the mask, fins, and this time (although the lobsterman will curse you for it, so try your best to untangle it first) a sharp knife. Beyond these steps, you&apos;re reaching into territory where it&apos;s generally not safe for a novice to venture (i.e. the internal workings of the heat exchanger, a malfunctioning thermostat or sensor, a busted head gasket, etc.). If you have any questions about where or how to fix anything mentioned above, grab a professional and have him walk you through the basics on your vessel. If you&apos;re ever out at sea when something goes wrong, you&apos;ll be glad you did. it&apos;s something serious. Call a mechanic—or TowBoat US.